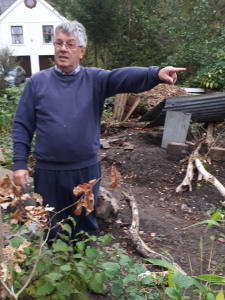 The severe weather over the weekend of the 13th and 14th of October had felled trees as well as putting the canal on flood alert. We went along on foot and in our flat bottomed boat to clear the channel and collect branches from the two trees near Holly Street in Pontardawe. 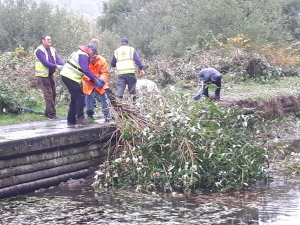 The winding hole (a term for the wide turning point for boats) was also overgrown so we toook the opportunity to clear it of weeds and branches. This is what it looked like when we finished. 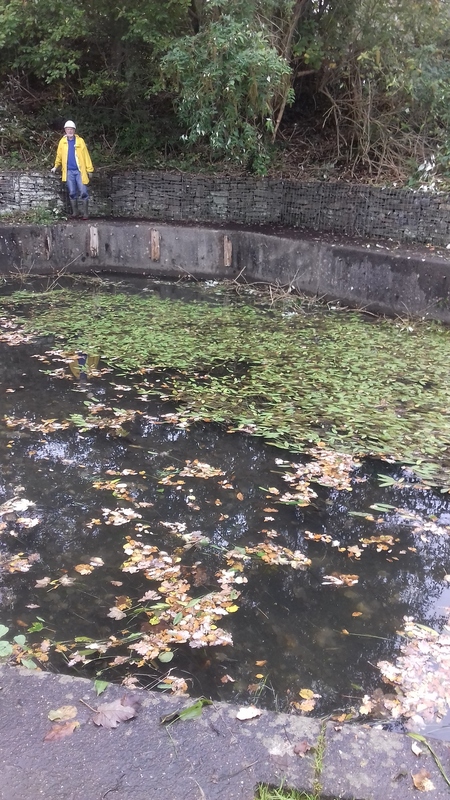 Tidying up the winding hole north of Holly Street bridge. 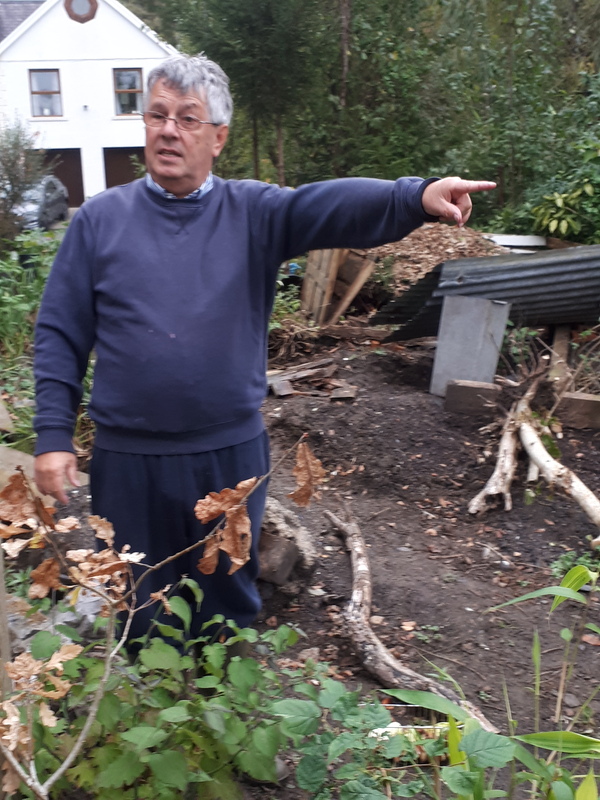 Whilst engaged on this latter task we were delighted to meet Stephen Williams who lives close by the winding hole. He and other like minded people formed the Swansea Canal Society in 1981 when the canal was in a parlous state. It is due to Stephen and the other founding fathers that the five and half miles of the Swansea Canal still left for us to enjoy, exists. Stephen Williams, founding member of the Swansea Canal Society in 1981. Previous postCOAST AND COUNTRY, CANAL AND CAMERAS: 22ND OCT 2018. 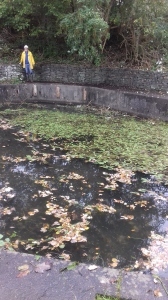 Next postCOAST AND COUNTRY ON THE SWANSEA CANAL: 22.10.18.